their consecration on 19 January this year. 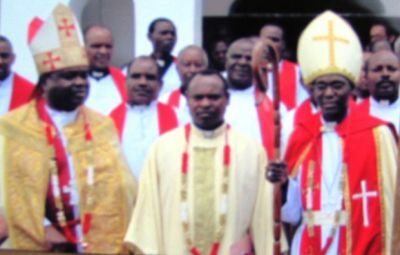 Bishop Nicolaus M. Nsanganzelu was born 5 June 1955 in Iramba Distict, Singida Region and before his new position he was Assistant to the Bishop in Mbulu Diocese for the past 10 years. He has served as District pastor for 12 years. He is alumni of Free Lutheran Theological Seminary in Minnesota, United States of America where he was awarded a Bachelor of Theology Degree. He also has a Theology Certificate from Tumaini University Makumira.